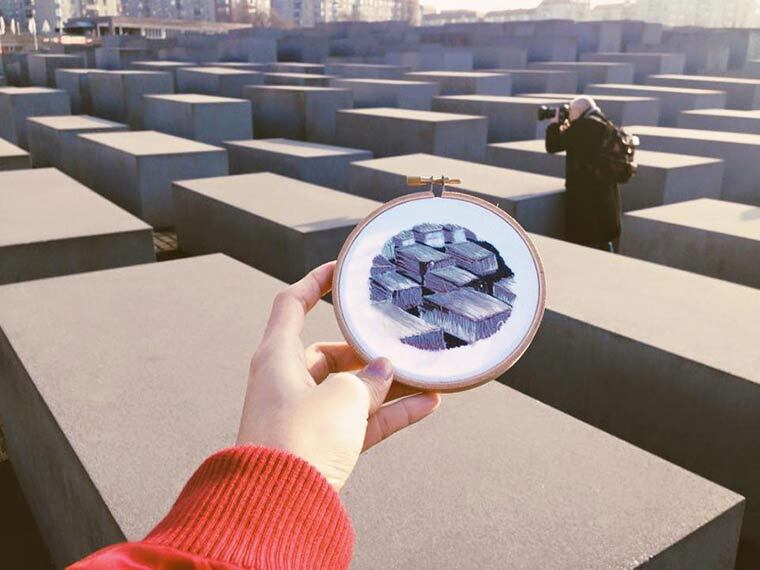 Whenever we visit a new place, we like to make the memory more permanent by taking pictures of the most interesting sights we see. 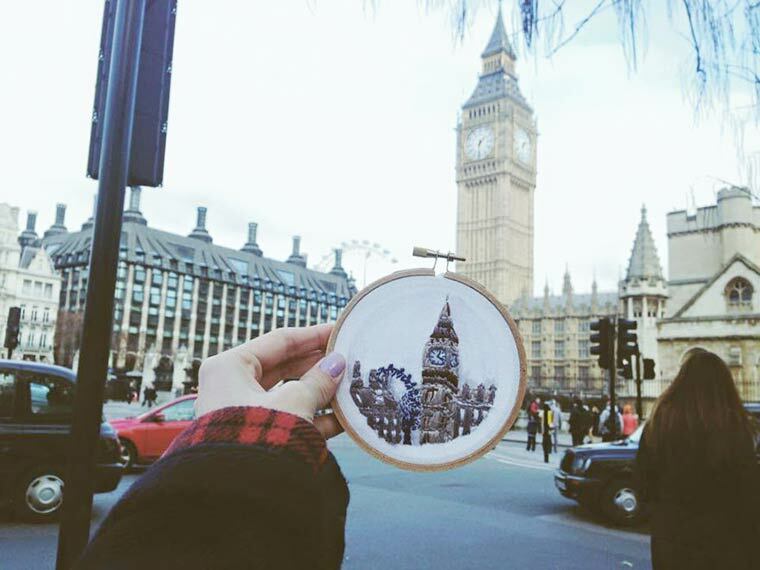 That is the job and joy of every tourist while sightseeing. 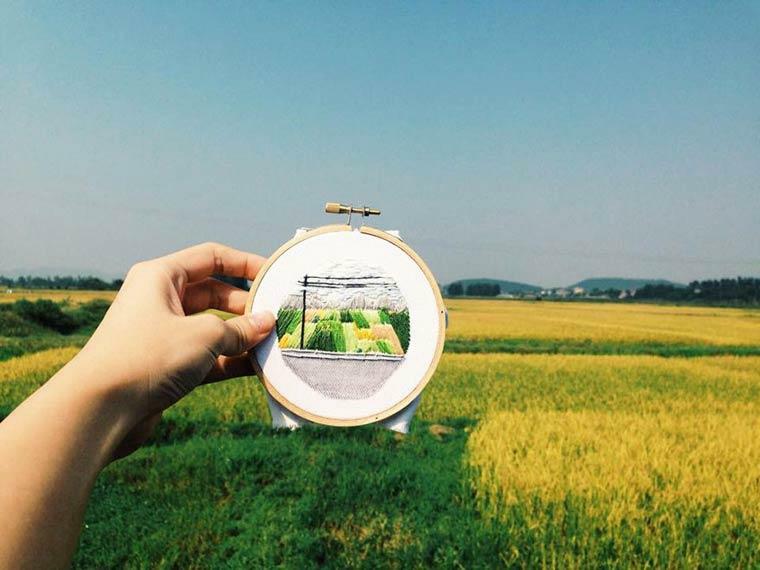 In resent years we seem to live trough the lens of our phone or our camera, just snapping away, not truly looking at what we’re taking pictures of. 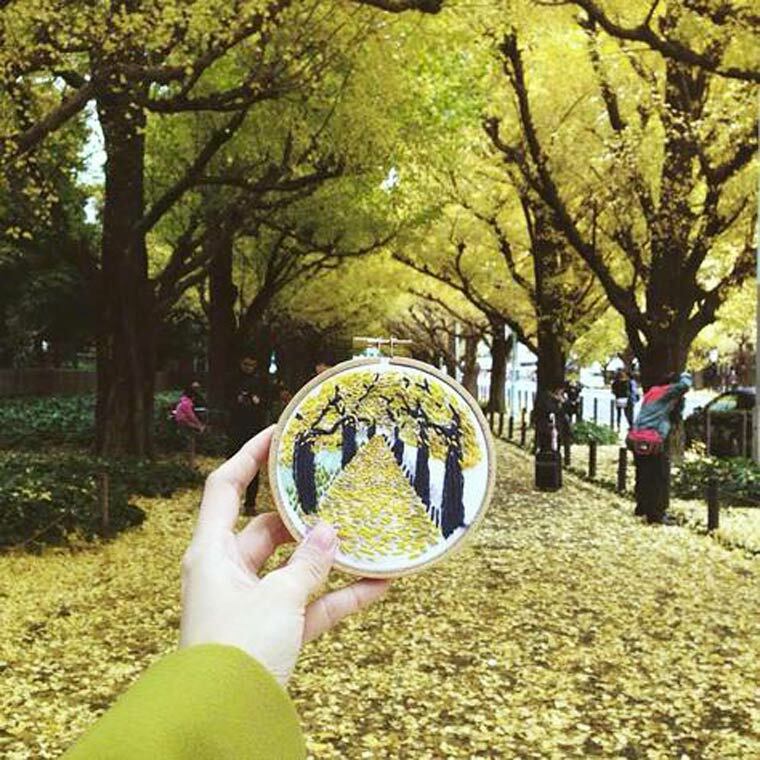 We are more concerned if the picture we took came out good instead of simply enjoying the landscape before or eyes. 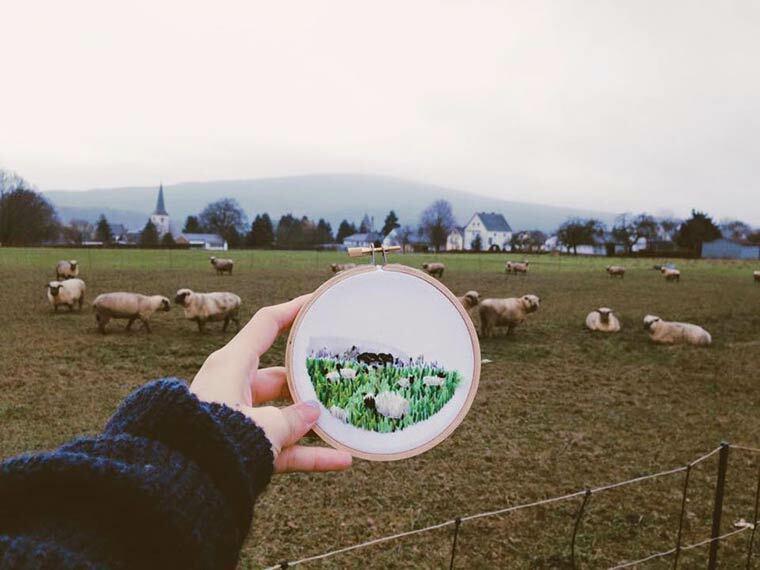 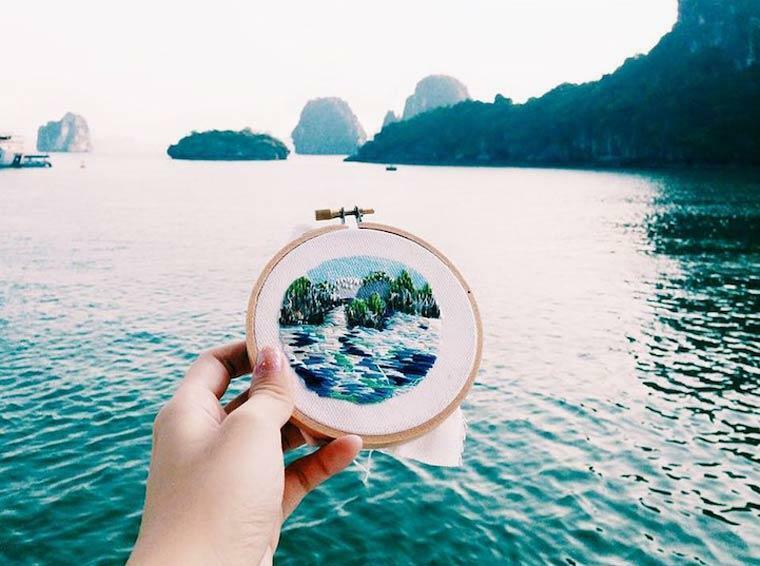 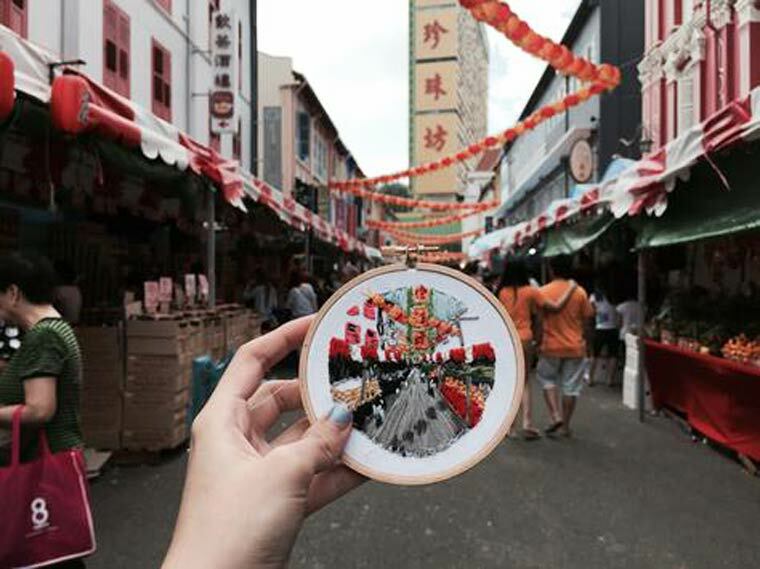 The artist and textile designer Teresa Lim not only enjoys her travels to the fullest, but also takes her time to truly capture the beauty of her favorite discoveries in the most unique way: by embroidering them. 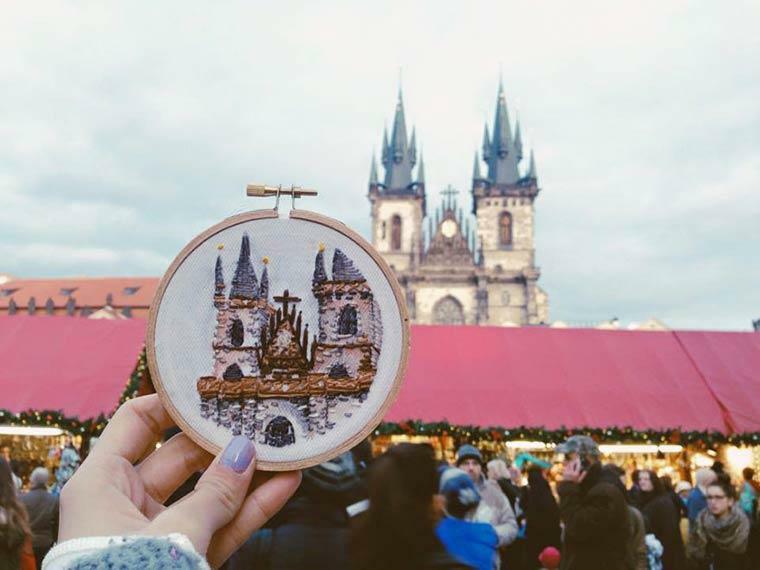 Embroidery might be a dying art, but luckily there are people like Teresa that are still keeping it alive. 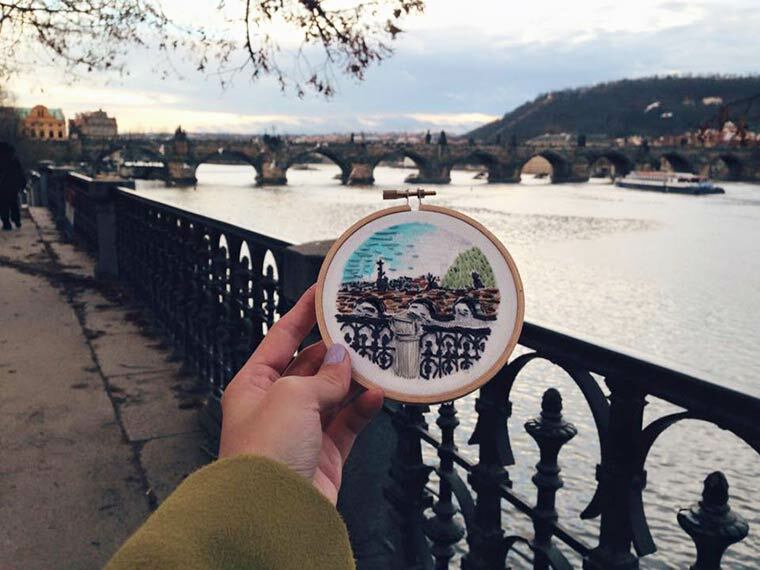 With her ongoing project Sew Wanderlust, she meticulously preserves her travel memories with pieces of thread. 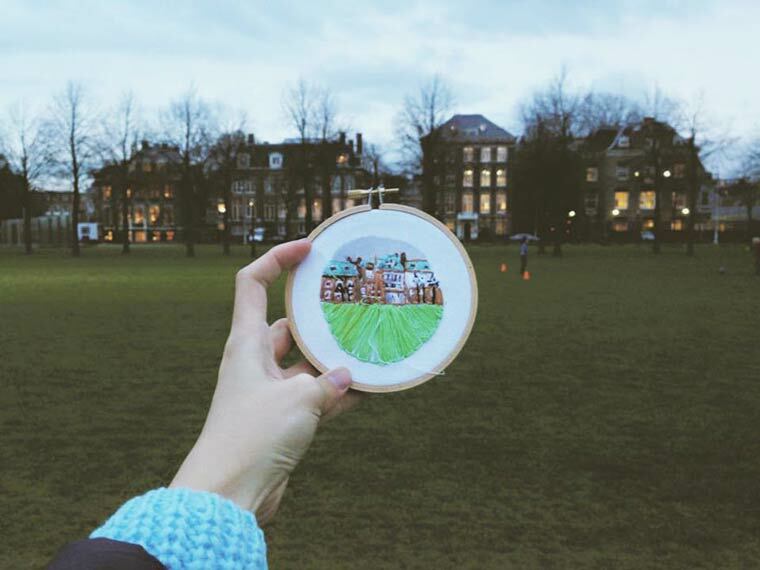 The finished product is absolutely lovely. 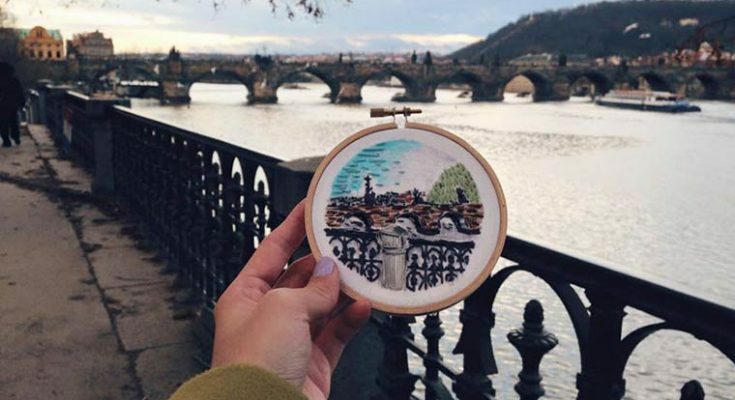 A perfect way to be reminded that there are times when we need to stop and smell the roses. 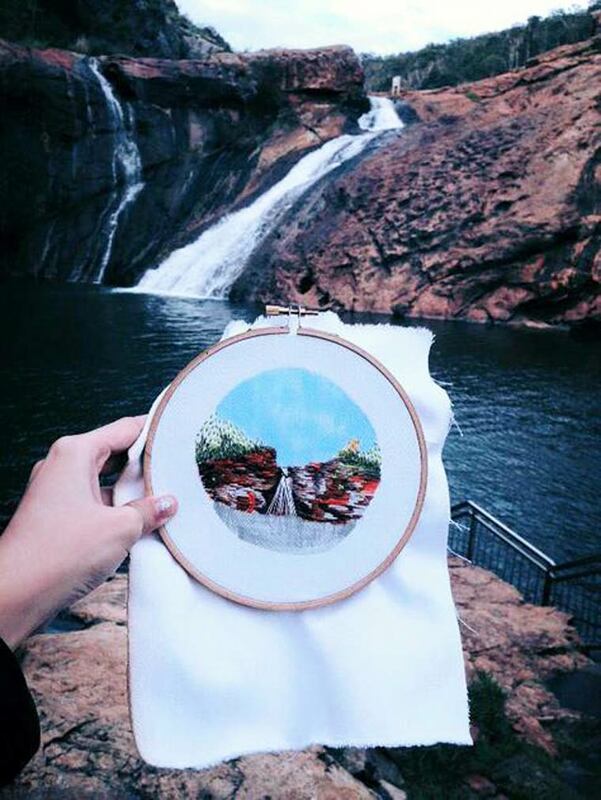 What a lovely and refreshing way to preserve memories.